Blog - FINE & DANDY Co. I love color. I mean love, love, LOVE color. It's on par with shoes, handbags, jewelry and sunglasses. So, it's a serious and forever kind of love. Color and I first began our affair in early childhood, I was dazzled by the soft, soothing, cool tones of ocean blues or the loud, vivid, joyful cheers of golds and yellows. Much later as a teenager I was introduced to color theory and learned about the emotional impact colors have on us. Everything clicked in to place, and I knew that somehow I would be permanently attached to color and all of its secret wonders. Having been in design for over twenty years, I have used color respectfully and always with reverence, it is one of the most powerful tools any designer has in their arsenal. It is the language designers and visual communicators use to connect with their audience. It transcends age, culture, ethnicity, language and gender and even more importantly it makes us feel, even if we don't always know why. Color, therefore in your home or environment can be a critical element in how you feel in your bedroom, kitchen, living room or bathroom. 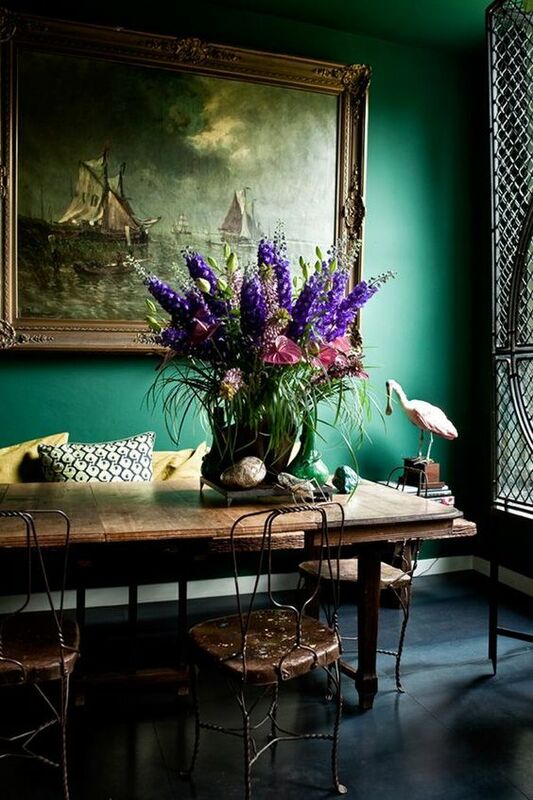 Sure, color can transform a room aesthetically, but it can also determine how you feel in that room. Do you want to feel soothed and calm in your bedroom? Select a shade of blue that you adore. Choose blue for your dining room however and you might find your appetite suppressed. © 2019 Fine & Dandy Company Inc. All Rights Reserved.